Welcome to my website. I am a survivor of Stage IV (advanced) papillary thyroid cancer, having been diagnosed back in June 2005. The whole journey from diagnosis to remission is told in the 4 books below. They say thyroid cancer is a 'good' cancer, well... believe me it isn't! 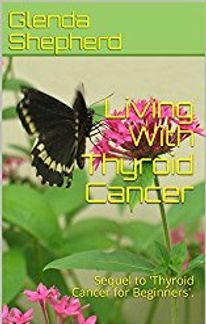 This is the first book in the 'Living With Thyroid Cancer' series. It charts a 4 year journey from diagnosis to what began a 7 year remission for me. For those recently diagnosed, radioiodine treatment has changed a little bit since 2006 when I had mine, but it's still quite similar. 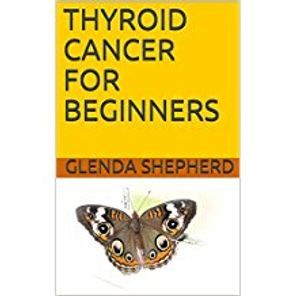 You will also get book 1 (Thyroid Cancer for Beginners) in the 'Living With Thyroid Cancer' series, but book 2 also carries on with treatments and procedures I had to undergo when the cancer returned at the end of 2014. I'd had a couple of cancer-free years, and then another recurrence occurred in early 2017. This book details the effects of 30 external beam radiotherapy treatments I had to undergo from March - May 2017, and my thoughts and feelings at the time. I have found the British Thyroid Foundation to be extremely helpful and supportive. 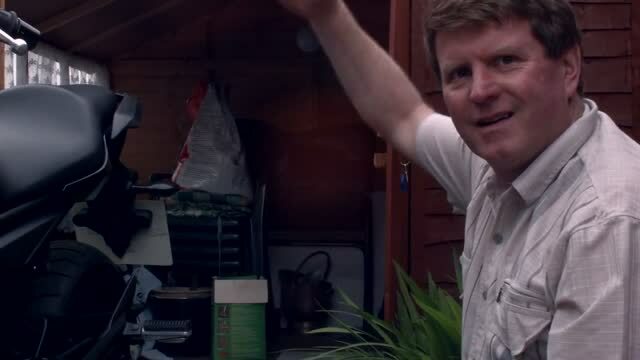 My husband Phil and I took part in the BTF video below to help others who are also suffering with thyroid cancer. 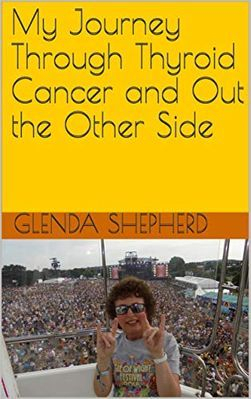 This is the last book in the 'Living With Thyroid Cancer' series. It shows that despite all the treatments and surgery I've been through, there is light at the end of the tunnel. 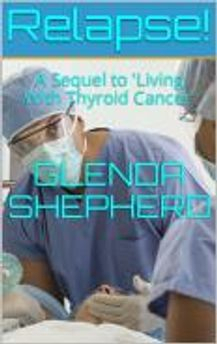 It incorporates books 1 -3 in the 'Living With Thyroid Cancer' series, but also has some extra updates bringing the reader right up to date.